David Letterman isn’t done with TV just yet. 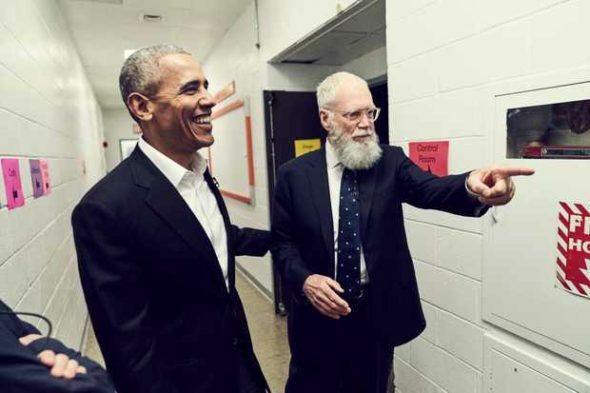 Deadline reports Netflix has renewed My Next Guest Needs No Introduction with David Letterman for a second season. The long-form interview series has featured in-depth interviews between Letterman and Barack Obama, Tina Fey, Malala Yousafzai, Howard Stern, George Clooney, and Tina Fey. Season two of My Next Guest is slated to premiere on Netflix in 2019. What do you think? Have you seen the David Letterman series? Will you watch season two? More about: My Next Guest Needs No Introduction, My Next Guest Needs No Introduction: (canceled or renewed? ), Netflix TV shows: canceled or renewed?